Manage public and private cloud services such as AWS, Azure, Azure Stack, VMware etc with an end-to-end cloud management solution. Jamcracker's Hybrid Cloud Management solution that lets you build a multi-cloud environment with the much need control without sacrificing business agility. Jamcracker Hybrid Cloud Management integrates the disparate cloud environments and allows you to control your cloud resources with purpose-built automation, orchestration, policy enforcement, and management tools. Jamcracker Hybrid Cloud Management helps IT to rein cloud sprawl while enterprises adopt cloud services across the organization. The solution supports end-to-end life cycle management of various cloud resources. It supports automated provisioning and configuration of virtual machines, workload stacks, block storage, and network interfaces. The policy framework provides cloud governance and helps businesses create policies to optimize the use of cloud resources. 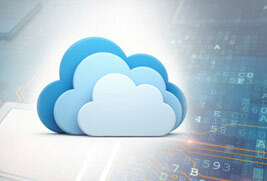 Jamcracker Hybrid Cloud Management provides comprehensive visibility of your cloud costs. It provides meaningful cloud cost and usage data by projects, departments, products, vendors, and business units. Role Based Access Control (RBAC) enables organizations to restrict/permit users to access and the Showback report provides clear visibility into utilization by the organization and departments. Build, manage, and govern your entire cloud ecosystem while retaining control of your IT environment, and send non-mission-critical workloads to the public cloud to take advantage of its flexibility and scalability. Accelerate and improve service delivery with solutions that deploy and manage workloads across all cloud models. Manage multiple cloud providers from a single console. Manage budgets across multiple providers and users who access images running in multiple clouds. Govern and secure hybrid cloud usage across the enterprise, including industry regulatory and organizational requirements. Jamcracker technology allows IT organizations to automate multi-cloud lifecycle management, governance, and delivery. With the Jamcracker solution, IT can provide and broker services throughout the organization. Achieve greater flexibility and choice for enterprise IT when deploying and managing a multi-cloud environment, by using self-service capabilities and governance to avoid vendor lock-in. Automate multi-cloud services management and delivery. Monitor usage, performance, and costs across multi-cloud environments. Track cloud services (SaaS, IaaS), costs, and billing in multi-cloud environments. 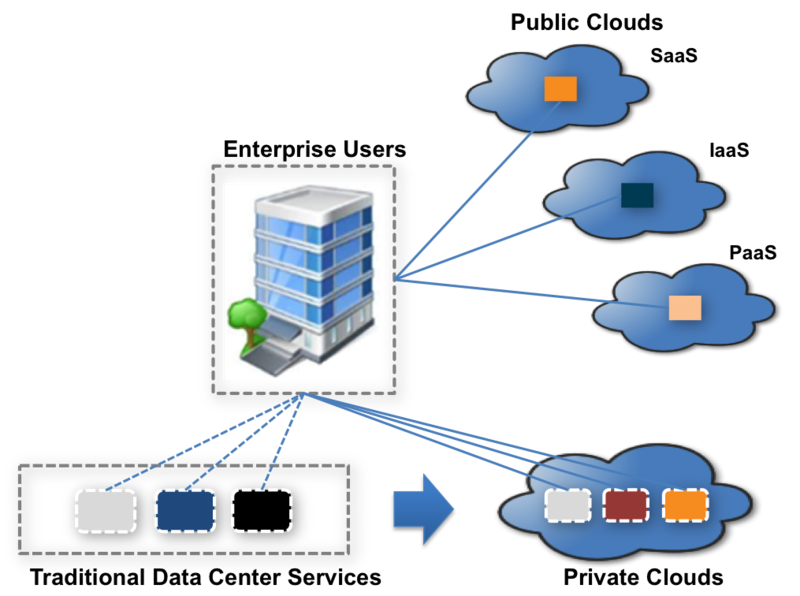 Aggregate services across multiple cloud domains. As more organizations move toward multi-cloud environments—where organizations deploy a mix of IaaS platforms—management challenges grow. Jamcracker helps broker, orchestrate, manage, and govern multiple enterprise cloud solutions on demand from a single platform, with the assurance enterprises expect. Control access to cloud services, and proactively define and enforce enterprise-wide access policies and privileges. Apply automated authentication and authorization policies for both privileges and end-user access. Enable users to perform specific operations based on assigned roles and permissions. Define who receives elevated privileges, and when, how, and from where these privileges are granted. Control which commands can be executed by privileged users, and audit privileged activity. Centrally manage and enforce role-based authorization and authentication policies. Automatically provision and de-provision user accounts and access rights across diverse servers, including propagated blocking of AD users. Jamcracker Identity Access solutions let you integrate identity and access management policies across cloud environments, quickly and cost-effectively. Jamcracker solutions use integrated identity information to create, modify, and retire identities and control user access via identity management, access management, single sign-on, access governance, identity tracking, and active directory administration. 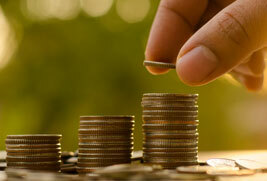 Consolidate your cloud spend with a single point of billing. Optimize cloud setup with unified cloud resource usage, metering, and billing, which works seamlessly across single and hybrid cloud deployments. Empower IT users to compare, order, manage, access, and consolidate billing across cloud services, including Amazon Web Services and Rackspace, along with providers based on OpenStack, VMware and other technology stacks. Track cloud services usage costs incurred by internal cost centers and departments. The Jamcracker billing solution’s charge back/show back report. Monitor and govern resource utilization and cost across all of your IT infrastructure. Maintain flexibility in how you use cloud resources by defining a budget that can be used across multiple providers. The Jamcracker Platform integrates with Amazon and Rackspace, along with OpenStack and VMware-based providers, to obtain real-time metered usage data and consolidate tracking across multiple IaaS providers. The Platform billing module also supports subscription, one-time, and tiered-usage pricing models used by SaaS, PaaS, and other types of public and private cloud providers. Develop, deploy, and deliver services on OpenStack and other private/public clouds using an open standards architecture. Enterprise IT can now manage and deliver cloud services ranging from infrastructure to applications. Adopt a multi-cloud strategy easily using standard architectures such as OpenStack, AWS, Azure, and others. Build and deliver enterprise cloud services across hybrid-cloud environments. Increase the speed of enterprise IT delivery by leveraging OpenStack-based services. Provide native integration with OpenStack APIs, creating a foundation for an abstraction layer that normalizes interfaces across disparate IaaS providers and API services. Jamcracker's open-standards-based architecture, extensible data model, and integration toolkit enable seamless integration with external cloud services, private cloud services, and existing IT support systems. This standards-based platform ensures that service providers, cloud providers, and enterprise IT organizations can integrate with any other solutions or services, regardless of technology. Now you can use public and private IaaS cloud technologies from market leaders such as Amazon Web Services, Azure, and VMware. Public clouds: Amazon Web Services, Microsoft Azure, Google Cloud, IBM Cloud etc. Private Clouds: Microsoft Azure Stack, VMware vCloud Director, OpenStack, VMware vSphere, CloudStack etc. The Jamcracker Platform is updated continuously with changes in all of the various cloud technologies. Jamcracker customers can rely on our unified command console for complete visibility and control across clouds. IT organizations can use our console to avoid lock-in with any one cloud provider.